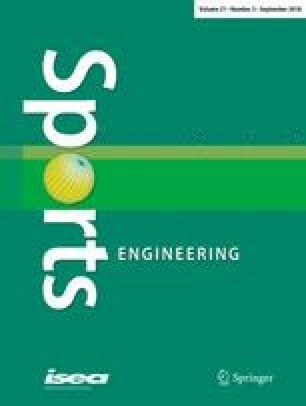 Low-energy impact testing of hockey shin guards was carried out using a drop test impact rig and a new physical setup protocol. Two brands of shin guards were impacted once (2.6 J, 3.3 J; without and with a sock), and impacted three times (3.3 J; with a sock). The peak force and impulse of a single impact increased with increasing impact energy (by approximately 30 and 7%, respectively) whilst repeated impacts increased the peak force and decreased the impulse (by approximately 70 and 3–9%, respectively, between one and three impact events). The presence of a sock attenuated impact force to a greater extent than the guards alone, at both impact energies. As a sock is usually worn over hockey shin guards, its presence contributes to enhanced protection to the lower limb.